TEDxBradford: Just the thing to combat the raging sense of despair and January blues says Catherine Simes. How positive is your image of Bradford? That was the first question asked by TEDxBradford’s hosts and organisers Kamran Rashid and Imran Ali from 30 Chapel Street. Their mantra, Bradford is good enough for a global brand such as TED. And the packed out room in the National Science and Media Museum confirmed it. TEDx is a local version of the world-wide phenomenon TED Talks, with its mission of spreading ideas in short, powerful talks. I am not a fan of a motivational speech and even less of an inspirational quote with a picture of a sunset on Facebook, but this was real people, in person, with proven experience in their fields. An antidote to the isolation of social media or arguing with a lunatic on Twitter. The theme of the day was Radically Social, building on Bradford’s history of social innovation from the founding of the Independent Labour Party in the city in 1893, the Saltaire workers’ village, its pioneering education initiatives – Bradford was the first place in the country to offer free school meals and more recently Bradford was designated the first UNESCO City of Film. These are the stories that weave their way through Bradford’s history, with Irish, German, South Asian and Eastern European immigration contributing to making the city a place where innovative, radical and progressive ideas have always thrived. TEDxBradford was a celebration of how place, creativity, community and identity have shaped the city and how it continues to inspire new generations of activists and doers. I even talked to a stranger. That’s how radically social it was. I learned two new words that summed up my day – topophilia, love of place, and interregnum, where familiar structures to resolve problems are breaking down and no longer function. The most interesting questions were in this disconnection and gap; what can emerge, what can we do to resolve problems on a local and manageable level? All speakers shared their experiences and some solutions and highlighted the risk of losing the spaces that connect us, from mills to pubs and libraries. If we have lost those places, what can we do to rebuild our communities? 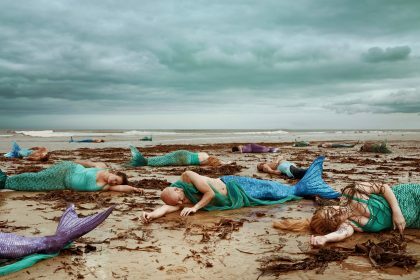 Rather than feel desperation at the state of the world, what can we do to really take back control, to ensure that frustration doesn’t prevent our participation in something positive, to recreate a sense of purpose and belonging? It was one of those days where there was too much to mention, so I’m just going to give you a flavour of some of the speakers who really resonated with me. Omar Salha: “Although we appear to be more connected than ever online and across the world, as a community we are lacking real connections with each other.” He spoke about creating real interactions, in real public spaces and that how our differences were created to provoke curiosity to know each other better. Since 2011 his Ramadan Tent Project has brought together thousands of people, sharing public spaces and food in the world’s first community-led open Iftars. Architect super woman Irena Bauman was highly political on the impact of ten years of austerity in shaping our communities. Blunt, to the point, decisive. How can we step up to this challenge? Her response was ‘massbespoke’ buildings for community-led housing and ‘flying factories’ using new technology to create socially useful production and place making. Engineer Niall Bourke reflected on his involvement in Bradford’s City Park development, remembering that people had been very cynical about the benefits of the project, but what a success it has been. The park had “revealed Bradford and the huge amount of beauty that is hidden in the city, linking water, heritage and history. It delivered a world class space for people to meet and play”. The vision was bold and the success of the scheme is how it has been used, regularly bringing people together for films, festivals, lunch and a paddle. Mandip Sahota, Norah McWilliam and Stephanie Stead’s collaborative project at Queensbury’s Black Dyke Mills is preserving millworkers stories, celebrating Bradford’s industrial heritage and encouraging local kids to find their sense of place through creative textile projects: “Loss of mills meant loss of life, identity and sense of place. Making use of these old spaces that were once the original connectors and built communities shows how we can inspire innovation through using industrial heritage creatively”. Neil Gibb brought the whole thing together talking about the stresses of the current political, social and economic changes, providing a handy three-point plan for survival: purpose, participation and belonging. “If we have no purpose, our work becomes toil; without participation we become frustrated; and without belonging we are lonely and vulnerable to mental health problems. The solution: create a cause, mobilise a movement and build a community”. Theatre Director and creator of the Women of the World WOW festival Jude Kelly spoke about why fathers of daughters suddenly become feminists and how we should embrace this. “In our culture, if girls have a father who gives them unconditional support, there’s nowhere they can’t go”. Like Jude, as someone who lost my own excellent feminist father recently I can highly recommend having a supportive dad who doesn’t set you any limits. 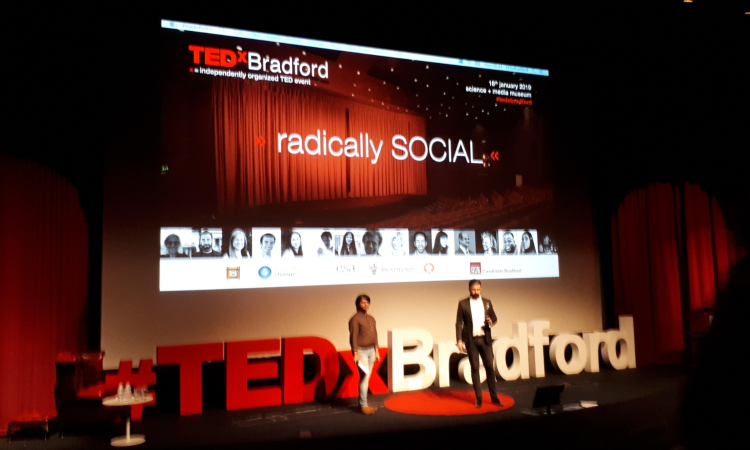 From brainwave dance, a choir, hip hop, the Bradford School of Rock, Asma Elbadawi a spoken word poet who stunned us all, TEDx was totally, totally Bradford and a real celebration of the impact people can have. TEDxBradford was a timely reminder to know your history, but not to live in it. Of how those hidden, forgotten histories, buildings and industries can be used positively to create stronger communities for the future. Where the big problems seem overwhelming, the lessons learned were think big, think bold. Have agency in your community. Find the people who are doing interesting, positive things and join them. If I have one quibble, it was that I only found out about the event by accident and only a couple of weeks before it took place. I would have been very sorry to miss it. More please and soon.